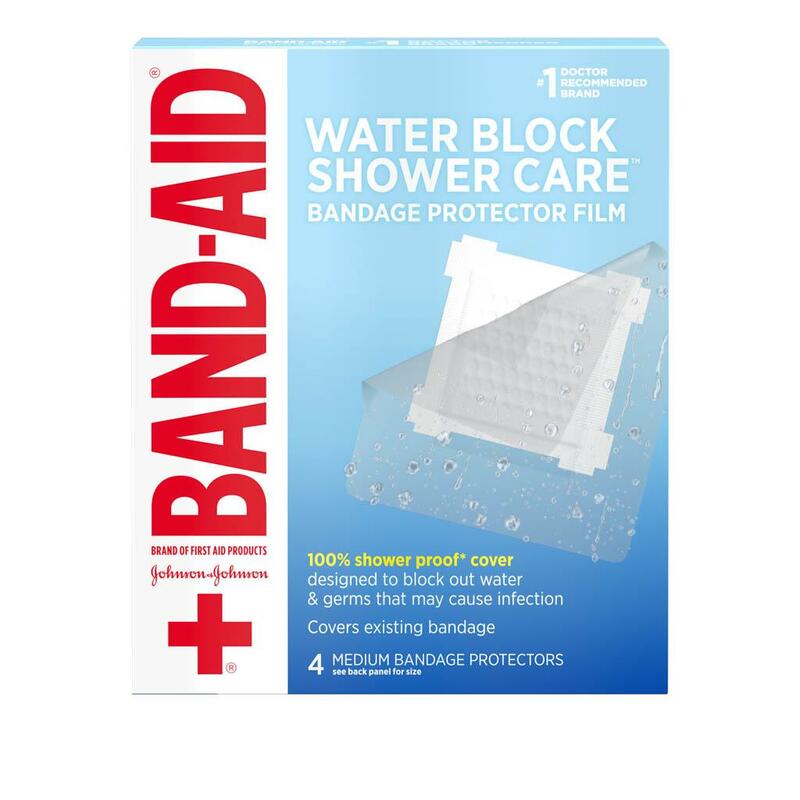 From the #1 doctor-recommended brand, BAND-AID® Brand WATER BLOCK SHOWER CARE™ Bandage Protector Films are designed to help to keep water, dirt and germs out of your wound while showering. 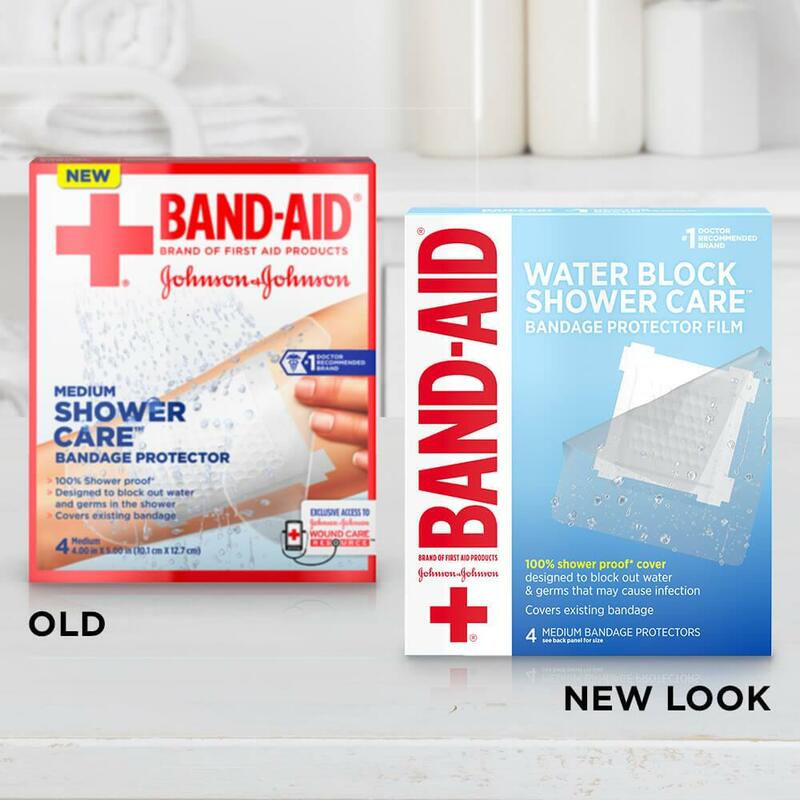 This 100% shower-proof* bandage protector forms a four-sided water-resistant seal that completely covers your existing bandage or gauze. 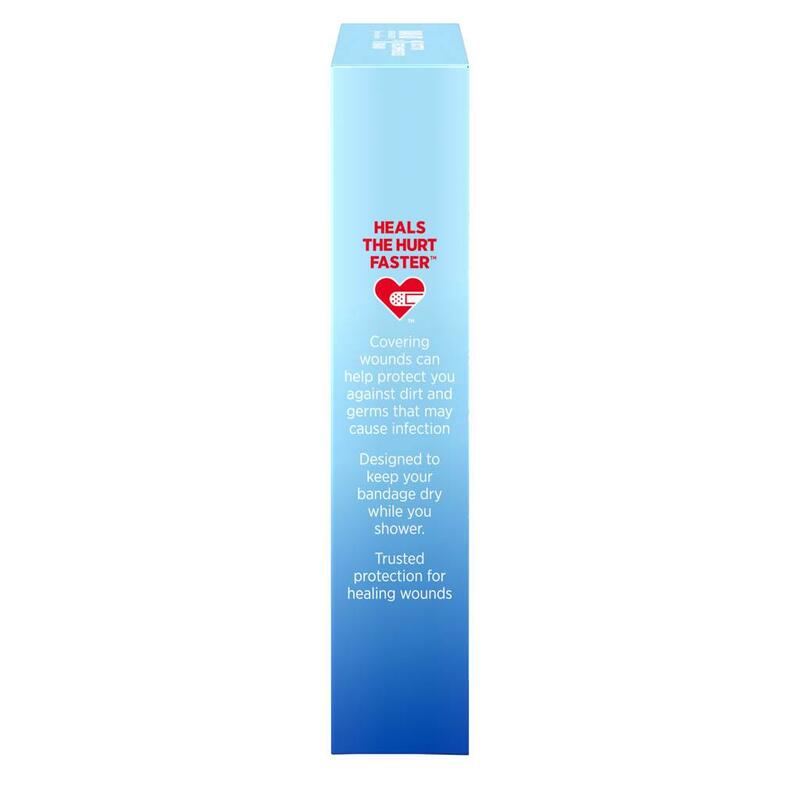 This clear bandage cover allows the bandage to remain visible. 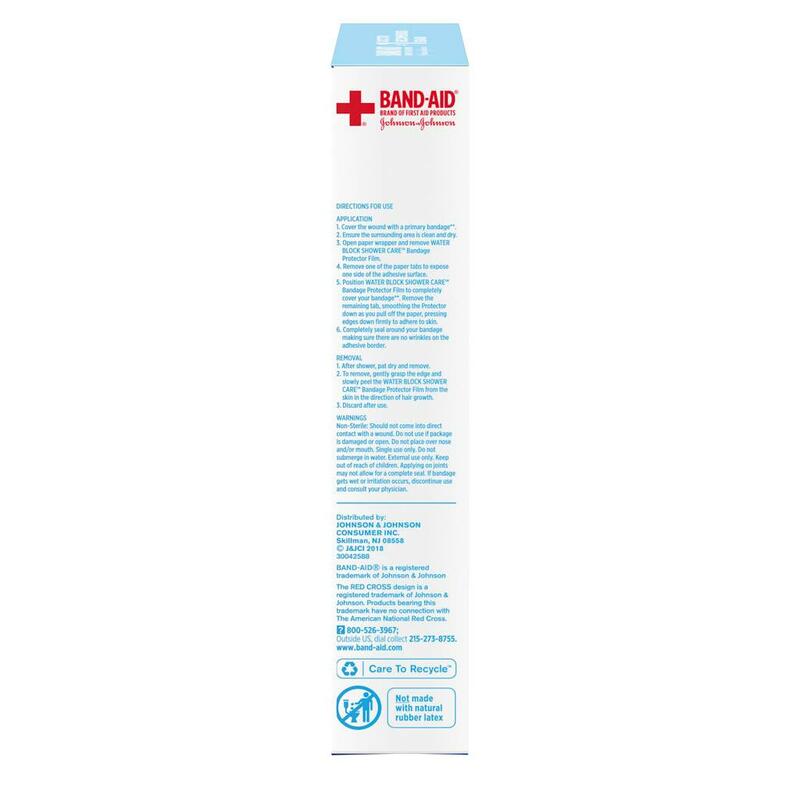 These medium-sized bandage protectors are not made with natural rubber latex. 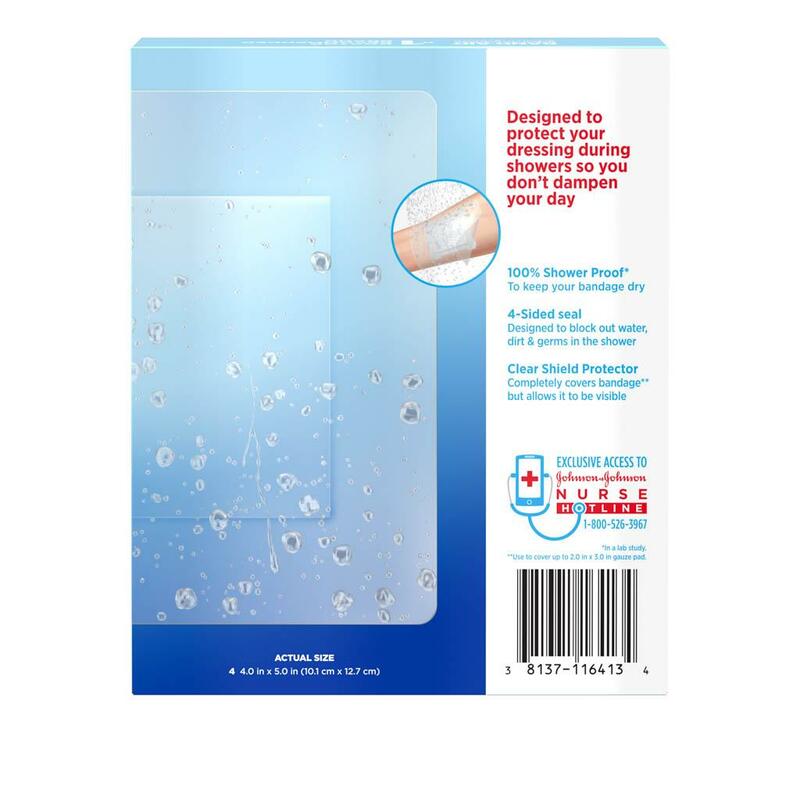 They can be used with BAND-AID® Brand CUSHION-CARE™ Gauze Pads.